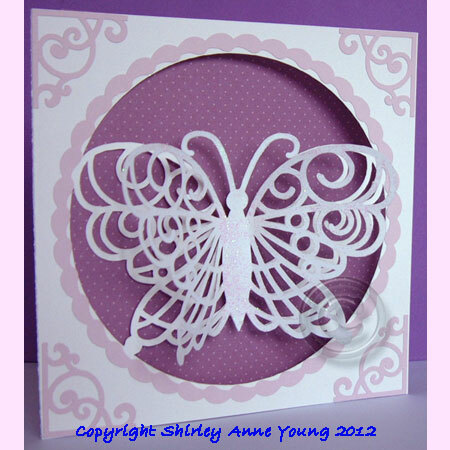 I seem to be in to butterflies at the moment. Here is a gatefold card that I've finished today. I just added a couple of stick on pearls to the butterflies heads to give a little definition. I cut the main card in linen effect card and the butterflies in thin pearlised card. You can find the template here. 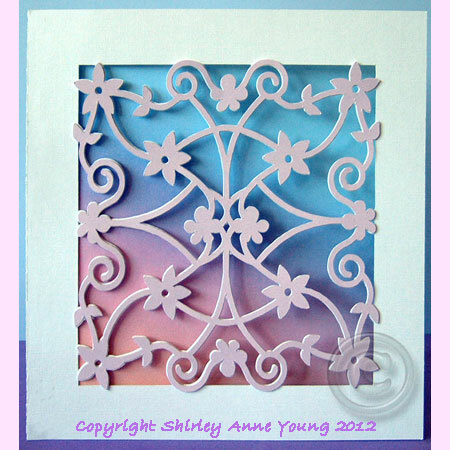 I had a particular card in mind when I designed this paper but it didn't quite work out so I thought I would share it on here rather than scrap it in case it is of some use to anyone. 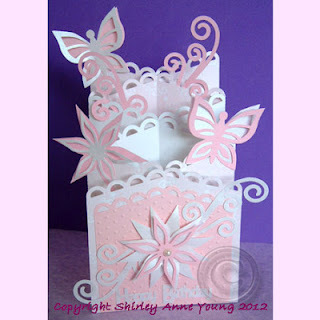 Here are two cards I did yesterday - the weather was so bad it was a good excuse to do some crafting !! 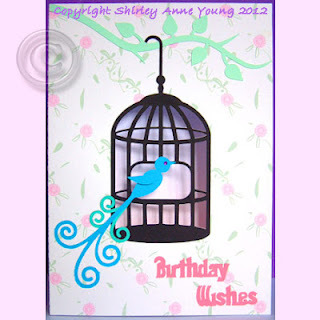 The only embellishments I used are some gems on the flowers and one for the little bird's eye. My first attempt at a cascade card but I'm quite pleased with the result.The only embellishment I added was a stick on pearl to the centre of the central flower. A very easy card to assemble plus it folds flat for posting. The template is available here if you would like to take a look. 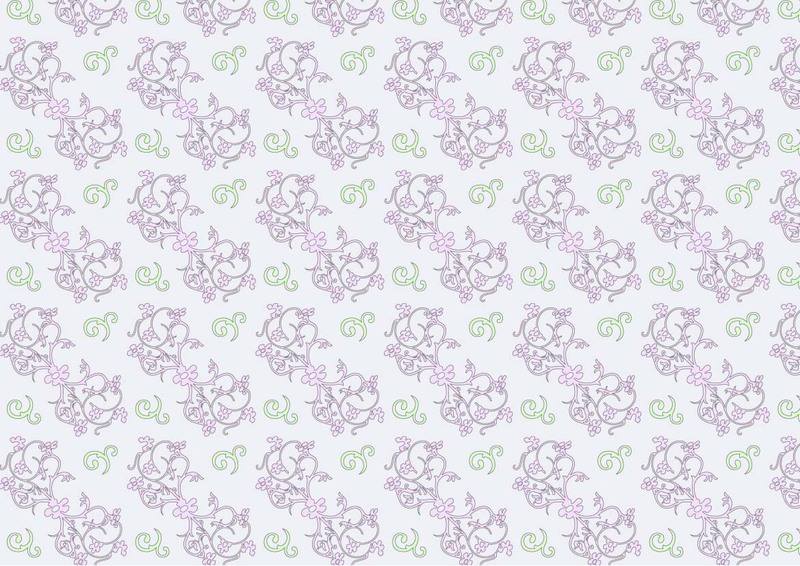 The freebie for today is a flower basket topper. Hope you can make some use of it and I would love to see some photos if you do. These are two cards that I made over the weekend. Although it doesn't show up very well in the photo I used glitter on the butterfly topper and it looks really nice. 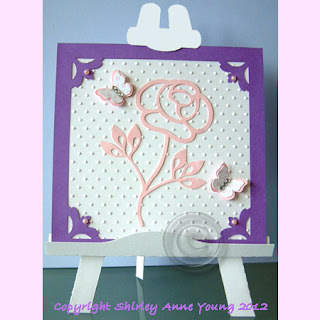 On the Trifold Card I lightly chalked the edges of the flower and border but again you can't really see it in the photo. If you'd like to have a look you can find both templates on my website. 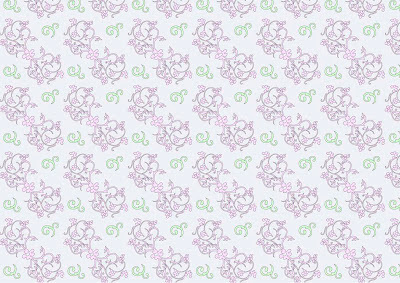 A little freebie for the weekend. 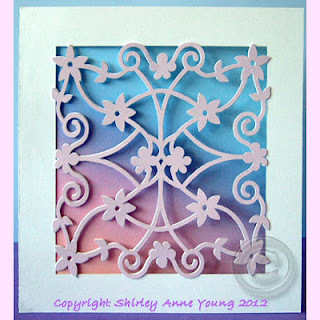 This is quite a delicate design so I wouldn't recommend cutting it on thick card. I used 160 gsm and it cut perfectly on my Cameo. Hope you like it and will leave a comment. 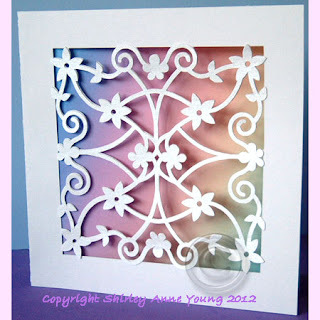 Here is a card made using the same design as the freebie Flower Panel Topper. 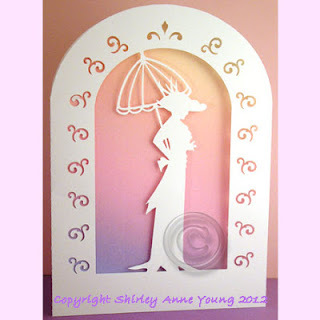 You can either just use the template as it is or layer it up with the topper to add some colour. 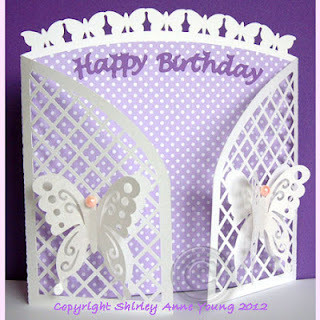 In the first photo I layered white pearl card on top of the card base to give a 'white on white' layered effect but it doesn't show up too well in the photo.